Regular readers of my blog will know that I’m partial to a good mid-century poster or illustration when I can get one. 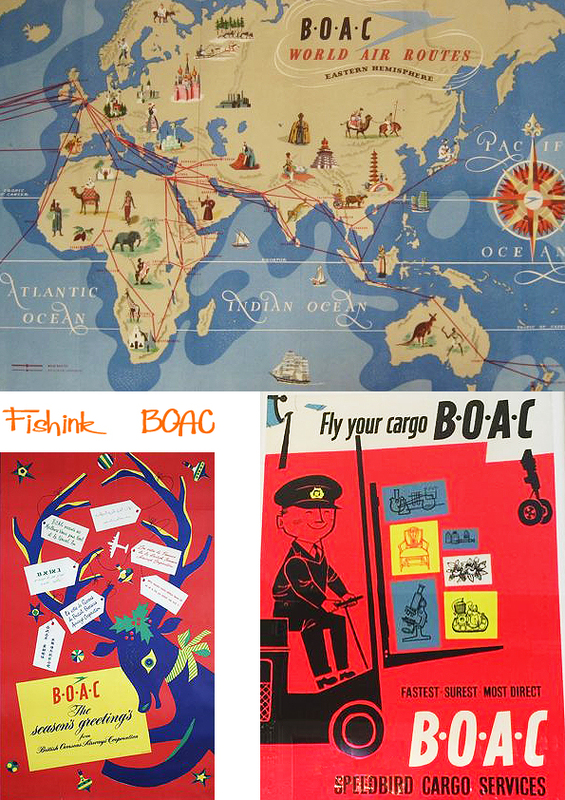 The aviation industry proved to be a great place to advertise and promote some amazing illustration. 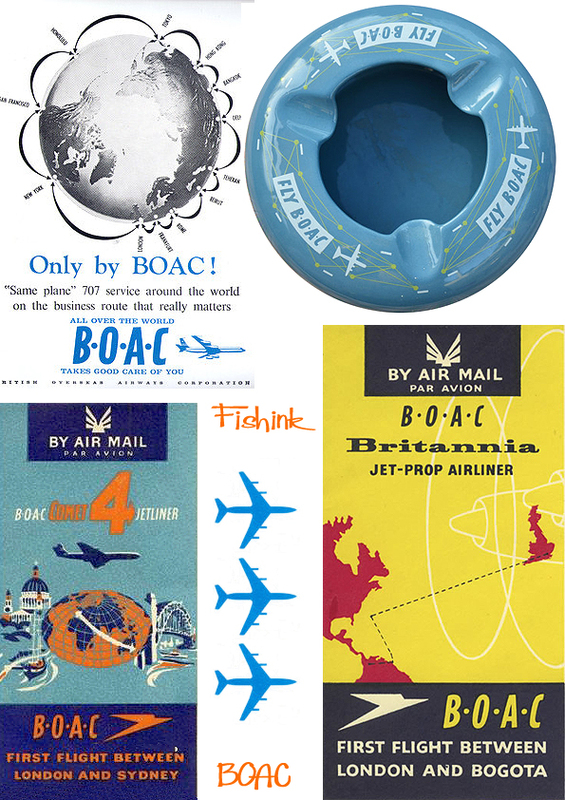 Fishink blog has already paid homage to United Air Lines, TWA / Swiss Air, Pan Am Airlines and Braniff International Airlines and no doubt, there will be more to come ! Today it is the turn of B.O.A.C. (well part 1 anyway). 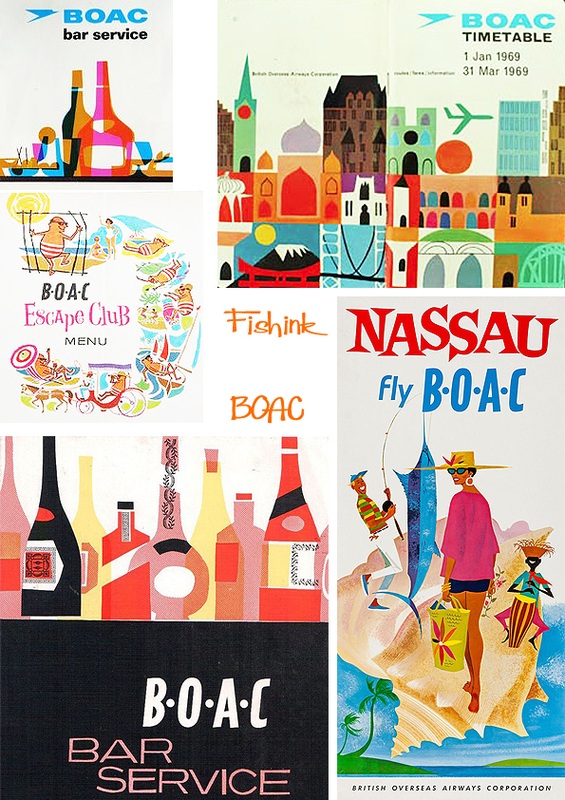 Look at these wonderful inflight leaflets for starters, don’t the colours, shapes and movement just make you smile ? 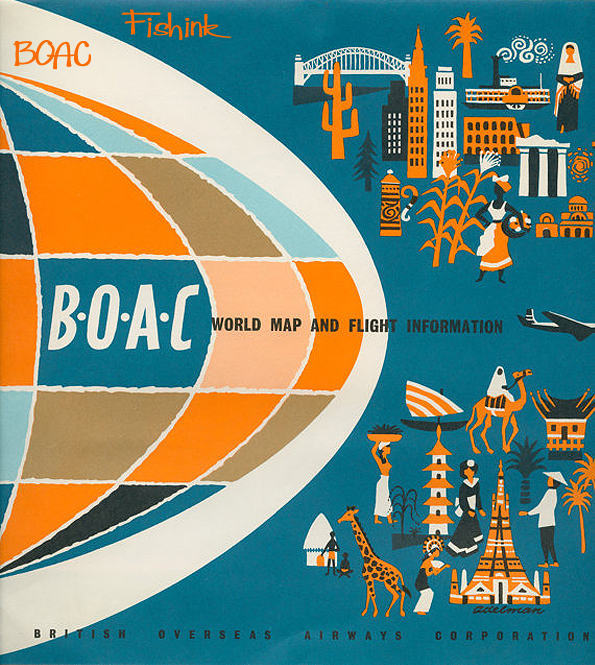 On 24 November 1939, British Overseas Airways Corporation (BOAC) was created by an Act of Parliament to become the British state airline, formed from the merger of Imperial Airways and British Airways Ltd. The companies had been operating together since war was declared on 3 September 1939, when their operations were evacuated from the London area to Bristol. 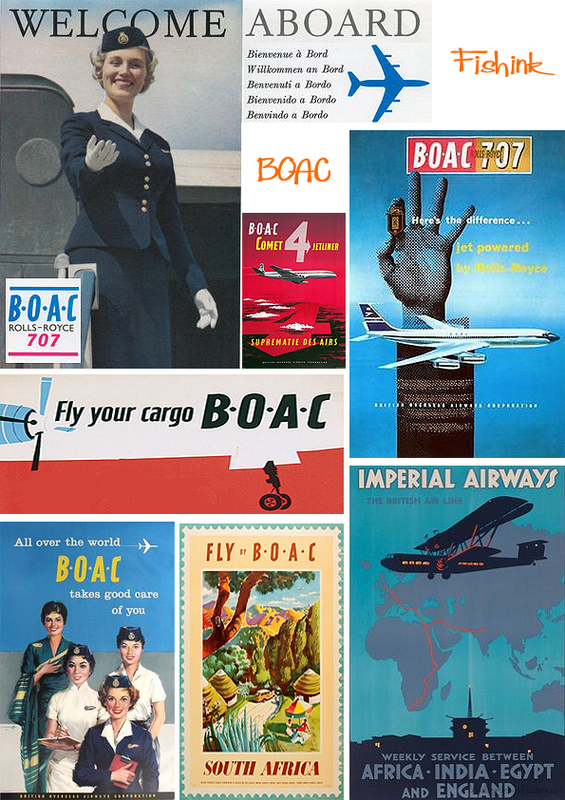 On 1 April 1940, BOAC started operations as a single company. 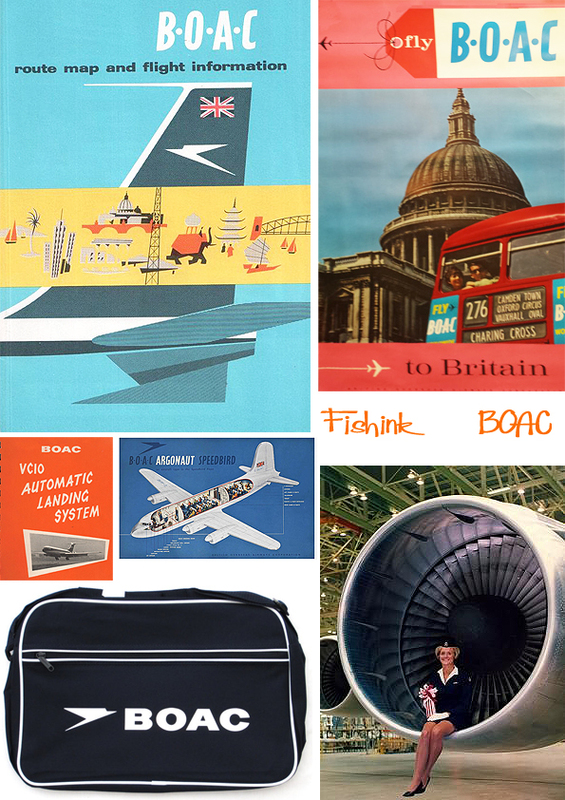 During the war, the airline was sometimes loosely referred to as ‘British Airways’, and aircraft and equipment were marked with combinations of that title and/or the Speedbird symbol (you can see in the first picture above) and/or the Union Flag. 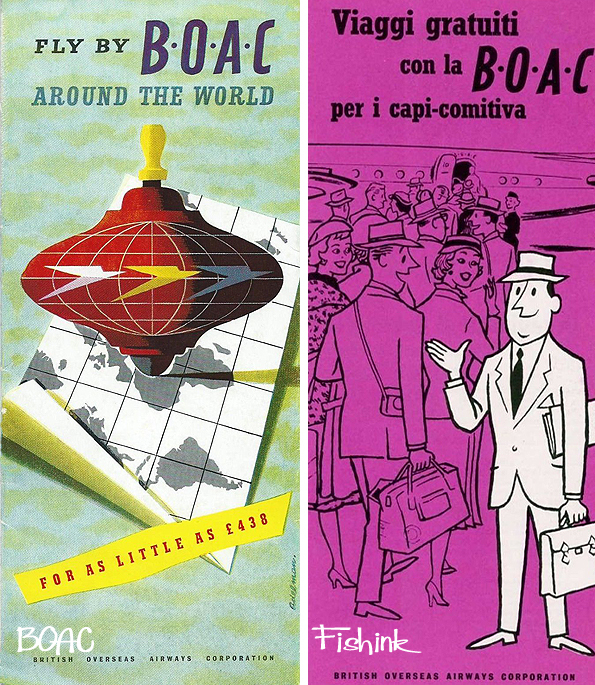 There’s plenty of travel ephemera around, if you are short of the odd blue plastic ashtray ! 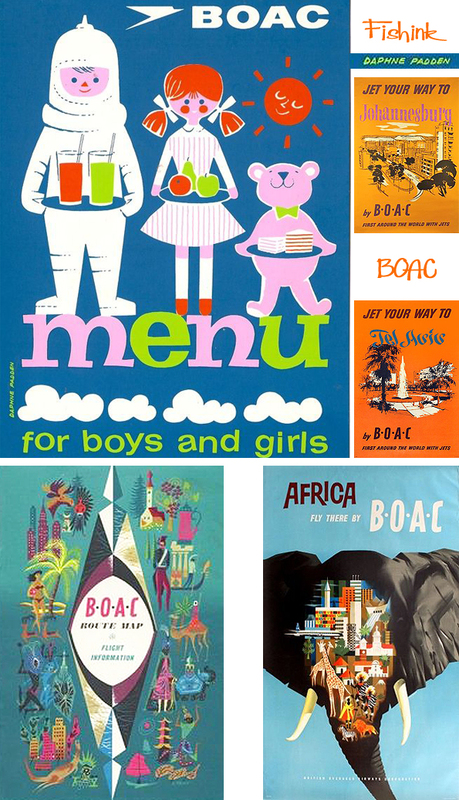 A couple of very stylish menus below, I wonder who the artists were ? 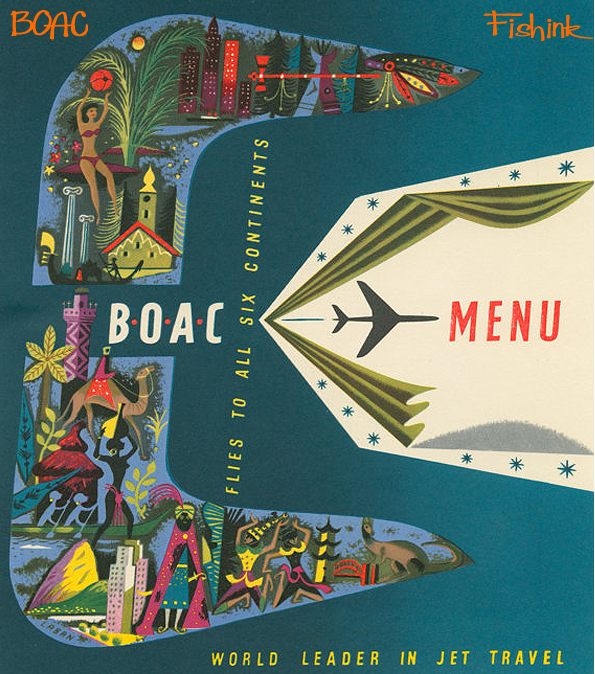 I love this children’s menu, illustrated by non other than Daphne Padden. 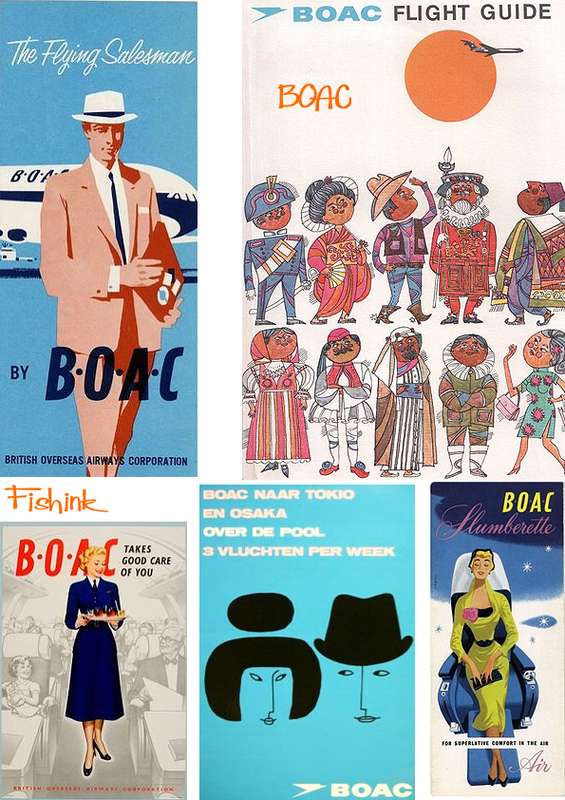 You can discover more about B.O.A.C here on the Wikipedia site and look out for more fabulous illustrations to come in part two next week. Hold onto your hats ! ← Fishink Walks Nr Kearsley, Bolton. Thanks Joanne. They are pretty cool aren’t they! More to come too ! Whoop !!! !